Ok, now I know the title of this post may be a little controversial to some of the things Social Media “experts” sometimes tell you, but do you honestly know what the true use of Social Media is for your business? However this is only a small part of what Social Media for business is really about! Let’s say you have a great website with a built in blog, you post fairly regularly and get some traffic from the search engines. You also have a Facebook / GooglePlus / Twitter account where you also post regular standalone updates. Did you know that doing this on the social media channels actually doesn’t help your website traffic UNLESS you are linking back to it. It is always better for traffic to post an article on your website and then link back to it than it is to post it directly to Social Media. The amount of times I have seen long, detailed and helpful posts on Facebook and GooglePlus that provide great information and are full of quality tips, but do not encourage further action and have only had a handful of views (Facebook reach is hopeless now unless you pay). From a business perspective this is a pointless waste of both your time and effort. I recently had a conversation with a G+ friend who tried to tell me that instead of using my website as a blog, I should be writing long articles (posts) on G+ itself. Apparently that would help my ranking on G+ which would give me more trust and authority in my circles. The thing that is inherently wrong with that scenario is that once people are in your circles, they often do not view your profile or visit your website where the actual sale happens! 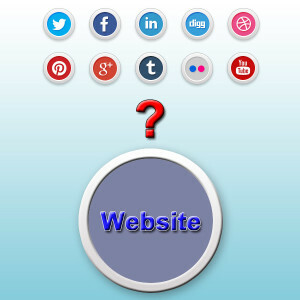 So, how should you be using Social Media to get more traffic to your website? These are just a few strategies that will help you get traffic to your website from Social Media, and the true key to promoting your business online is getting people to come to your own website where you can teach them more about you and your services in a controlled environment. For more help on getting the right strategy for your businesses online promotion, contact me today. Excellent article, Ian. I absolutely agree that the true key to promoting your business online is getting people to come to our own website. Building our own house and bringing them “home” for a visit is absolutely essential. Again, excellent article! This is a very helpful article. I shared it with my downline and encouraged them to use this information to build their business. It is wonderful to receive information to help build our businesses. I have a question though. You said It is always better for traffic to post an article on your website and then link back to it than it is to post it directly to Social Media. I believe I might be doing this the wrong way. I have a blog on blogger.com and a button on on my website that directs people from my website to the blog. Are you saying my blog should be directly on my website? What does it mean to link back to it? My website is http://www.lookandbewealthy.com just in case you want to view what I am talking about. Thank you for you help with this. Thank you for your kind words and for sharing Arrettres, much appreciated. If you blog is not actually a part of your website, then you need to look at this differently. If Blogger is where you are posting your articles then try to link back to your website in the articles themselves. Blogger hooks up with GooglePlus so there are benefits in using it so long as you have these links to your actual website on it.